FAME the musical was based on the hit 1980 film starring Irene Cara, directed by Alan Parker, and premiered in 1988 in Miami, Florida. The film has achieved registered cult status, with the title song winning the Academy Award for Best Original Song at the 1980 Oscar’s Ceremony. In 1982 MGM Television produced a spin-off series, which ran on the NBC network for six years. The story is set at the New York High School of Performing Arts, in 1980. The plot is divided into separate sections, showing auditions to the school and the student’s progression from freshmen through to seniors and covers topics such as bullying, sexuality, drugs and friendship. 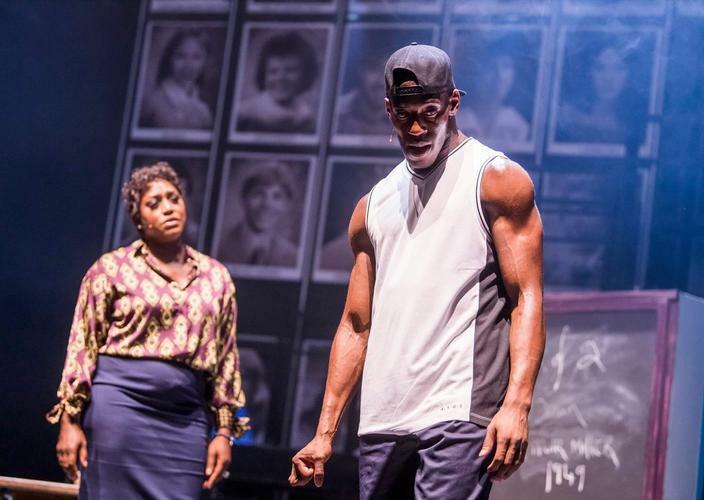 The cast is enthusiastic and gives the right energy to this show: Jamal Kane Crawford shines as Tyrone, dancing, singing and rapping. Molly McGuire and Keith Jack are a believable troubled couple, Stephanie Rojas is a wonderful Carmen, who becomes drug addicted and will pay for that, Simon Anthony as Shlomo plays the piano and sings beautifully, Mica Paris –as Miss Sherman- gives a stunning rendition of “These are my children”. All the cast – too many to mention – gives everything on the stage, elegantly designed by Morgan Large. There are some flaws in this production: the story is clumsy, things happen too fast (for instance, Carmen becomes drug addicted and leaves school all of a sudden), the dialogues are cliché’ and the energy of the show drops consistently for the most part of the second act, until the beautiful, gospel version of Bring on Tomorrow, and, of course, Fame. Even so, Nick Winston, the Director, has clearly tried to preserve the original elements of the musical and to combine them with a contemporary look to make it appealing to younger crowds, and it definitely works. Fame is a musical that doesn’t fail to impress and it is a great night out!